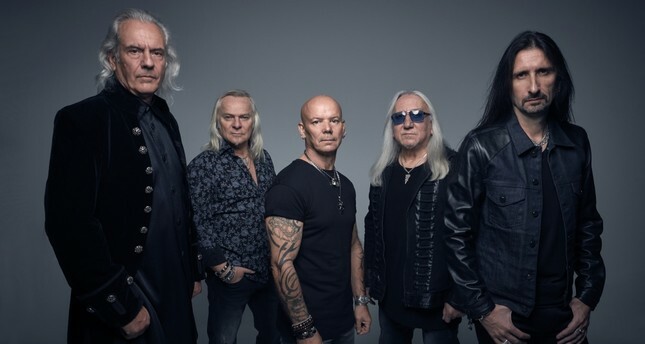 Uriah Heep set the stage with their hard rock and heavy metal music and were known for many songs such as "Easy Living," "The Wizard," "Sweet Lorraine," "Lady in Black" and "Stealin." In the 70s the band was associated with acts such as Black Sabbath, Deep Purple, Led Zeppelin and The Big 4. Now they will be at the Zorlu Performing Arts Center (PSM) on Feb. 10. The legendary British band which captivated listeners with their songs focusing on different types of music like progressive and art rock, even though it was initially formed as a hard rock band, will be at Zorlu PSM's Turkcell stage as part of their "Living the Dream World Tour." Established by vocalist David Byron and guitarist Mick Box, the band will perform songs from their albums, which have sold over 40 million copies in the last 40 years.